In Japan, bells called “Joya-no-kane（除夜の鐘）” are played slowly 108 times at temples in various places during the time that changes from the night of December 31st to January 1st. It is said that 108 is the number of people’s anxiety. Generally it will sound the 108th bell ringing at 0:00 on January 1 and inform us of the New Year’s visit. This is a custom that began in ancient times when there was no mechanical watch. However, in recent years, there seems to be many temples that cancels this old-fashioned event, due to complaints of “disturbing” from local residents. In Japan, I have a habit of eating soba on December 31st. It is called “Toshikoshi Soba（年越しそば）”. There was a trial carrying out that “If we eat long soba we will have a longer life expectancy”. A comedy program broadcasted all over Japan on the evening of December 31 every year is a series “Zettai-ni-warattewaikenai（絶対に笑ってはいけない）”. In English it means “they should never laugh”. I think that this program is a great invention remaining in the history of television in the world. In recent years, enthusiastic fans of this program are also in foreign countries. The plot is the same every year. Five regular comedians are gathered in one place and do the tasks given one after another. The outcome of the task has no particular meaning. However, the person laughing during that time is the rule that hips are struck with a stick. Every year, various gimmicks appear, somehow trying to make those five comedians laugh. Five comedians will not be beaten unless they laugh, However, they can not stand laughing because comedians are sensitive to funny things. Therefore, five comedians are beaten 100 times or more each year. Nonetheless they do not laugh for everything. The criteria for making them laugh are high. It is a serious confrontation for production staff. There are many places that you can not understand if you are not familiar with Japan, but please enjoy it if you have a chance to see it. In a TV program about 20 years ago, a African man dressed in ethnic costumes said as follows in fluent Japanese. Japanese lifestyle has quite Americanized, but since Japan has a long history and a unique traditional culture, Japanese should respect them more. He does not understand. My response to him is “This is Japan”. Japan has been actively adopted foreign cultures and customs from ancient times. However, only convenient places are available for us. Then we will improve it and add it to our culture. For example, kanji（漢字）.Kanji is important in constructing the names of Japanese and Japanese text. It imported from China long ago. But, Kanji is an ideogram. Even now China also assigns kanji in foreign languages and foreigners’ names in consideration of pronunciation and meaning of every letters. Coca cola is “可口可乐”, President Trump is “特朗普总统”. How troublesome. So our ancestors invented phonetic letters katakana （カタカナ） and hiragana (ひらがな) based on kanji. So in Japan, foreign words can be expressed with phonetic characters. Or Neapolitan. It is spaghetti seasoned with ketchup. It tends to be thought of as the origin of Naples in Italy, but it is different. In fact it was made by a Japanese and named Napoli without permission. And curry. After being transmitted to Japan via the UK, it developed its own as a Japanese style curry. Christmas, Valentine’s Day, Halloween, etc. are established as annual events not related to their original meaning in Japan. Japan is such a country from long ago. Japanese wear such traditional clothes, only on special days. For example their wedding ceremonies. But there are also many people who choose Western-style. There is a holiday period called “winter vacation” in Japan. The winter vacation of many schools is generally December 25 – January 7. It may be longer in the northern region. Many companies will have a winter vacation from December 29 – January 3. The homecoming rush will occur during this period every year. Because many of the people working in the city go home town, the air ticket price rises, the Shinkansen train is also full, and highways can not avoid long traffic congestion. When you buy Shaopao in the Philippine Seven Eleven, you will take it out by yourself from the showcase by using the tong. And you put it in wrapping paper and bring it to the cash register, then pay the price. In a convenience store in Japan, when you order at the cash register, the clerk picks it and hands it in wrapping paper and bags. The doors are on the side of the clerk. By the way, at a convenience store sell Nikuman for about 120 yen. Depending on the shops, they sell more higher grade and expensive items. “Pizza-man” is a replacement of Nikuman ingredients with pizza-like ingredients. Cheese and ketchup are used for seasoning meat and vegetables of the ingredients. In Japan, December 23 is a holiday called Emperor’s Birthday. The Emperor became 84 years old this year. The Emperor is generally healthy and longevity. That is pleasing to us. In addition, the current Emperor abdicated April 30, 2019. From 2020 February 23 will be the new Emperor’s Birthday. 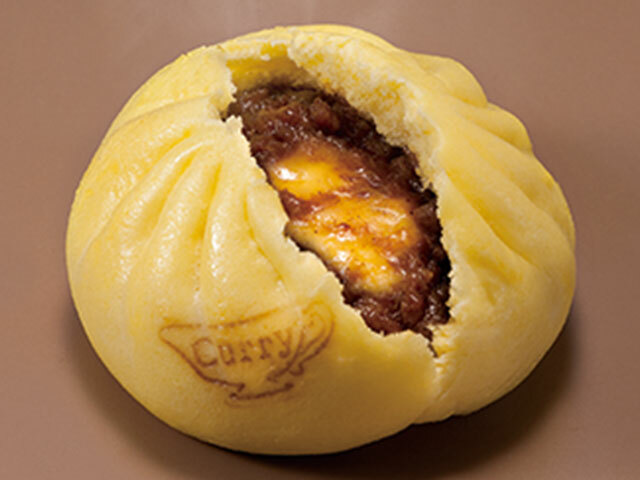 “Curry-man” has tasted the content of Nikuman with curry. The skin is also becoming yellow purposely. 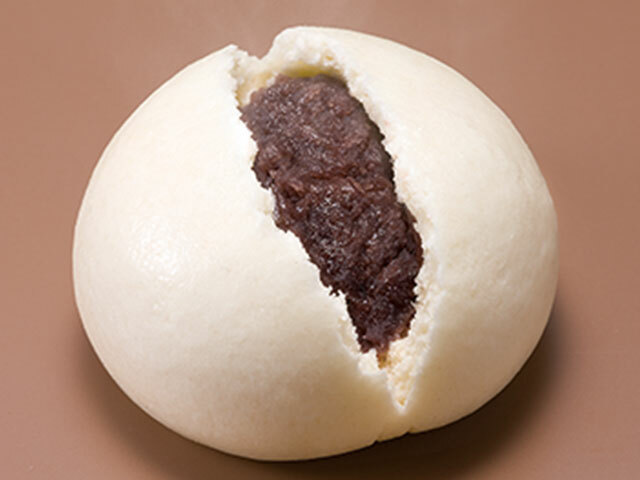 “Anman” has changed the content of Nikuman to Anko. When you heat it, the sweetness of the anko becomes strong. Therefore I recommend it to those who like sweet things. But for people who do not like sweet things, it is hard to eat.